made with oak from my back yard, wood from a church alter , hickory, myrtle, teak, walnut, zebra wood , lace wood and mahogany . 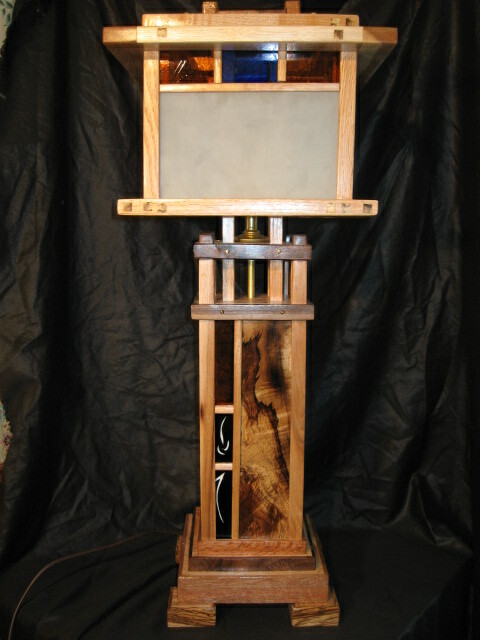 This entry was posted in WOODWORKING and tagged lamp, light, wood, woodworker, woodworking. Bookmark the permalink.